Sadly, not everything can last forever and it was now time to give our farewells. Watching Hidamari Sketch: Sae and Hiro Graduation was special. I went through many emotions as it led me through the inevitable ending. I was happy and sad when it wanted me to, yet it felt natural. These are two lovingly crafted episodes about Sae and Hiro graduating and leaving the other residents of Hidamari Apartments behind. It is not with tears I send them off, but with a bittersweet smile. Hidamari Sketch has been beautiful. I wish you the best of luck on your new adventures. 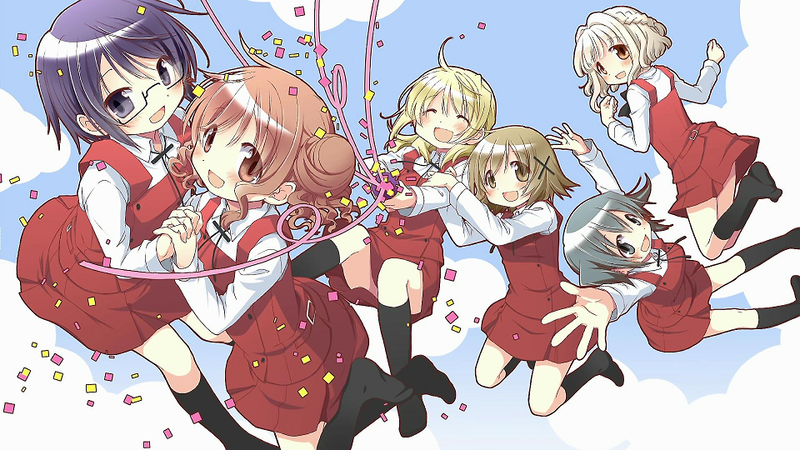 This entry was posted in Anime, Christmas, Hidamari Sketch, Series and tagged 12 Days of Christmas, Bittersweet, Farewell, Graduation, Hidamari Apartments, Hidamari Sketch: Sae Hiro Sotsugyou-hen, Life, Shaft, Sunshine, Ume Aoki. Goddammit. I dropped Honeycomb around halfway through when I realized that the graduation was going to be a thing that would happen and that would be that. I still don’t have the heart to pick it back up. I’ll miss them all way too much. When you feel ready, give it a watch. 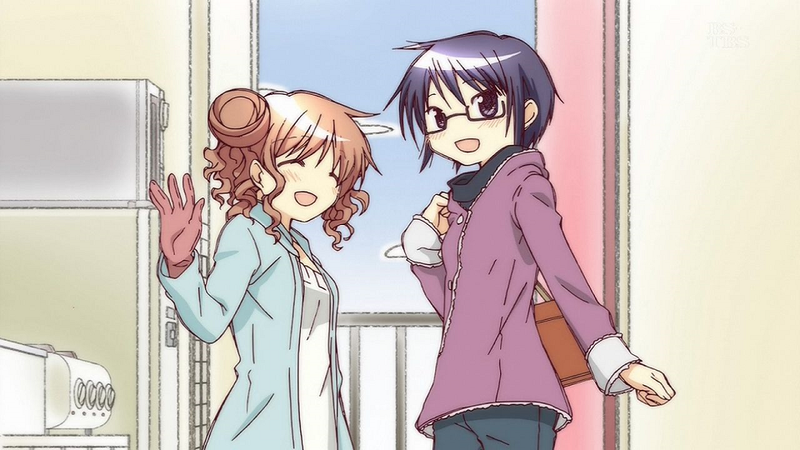 This was the best possible ending Hidamari Sketch could’ve gone with.